Harlem also invited JJ Lin to be his guest judge! Comments: Both of them sound great. Wen Hui has a deep voice which started off the song extremely well and just as I decided I like her voice a lot, Zhang Shu’s voice appears and it’s also beautiful but in a different way. Zhang Shu has a higher voice but it’s also thick at the same time, so it’s not screechy. I like both of their voices, I don’t know how to choose! The performance is fab! 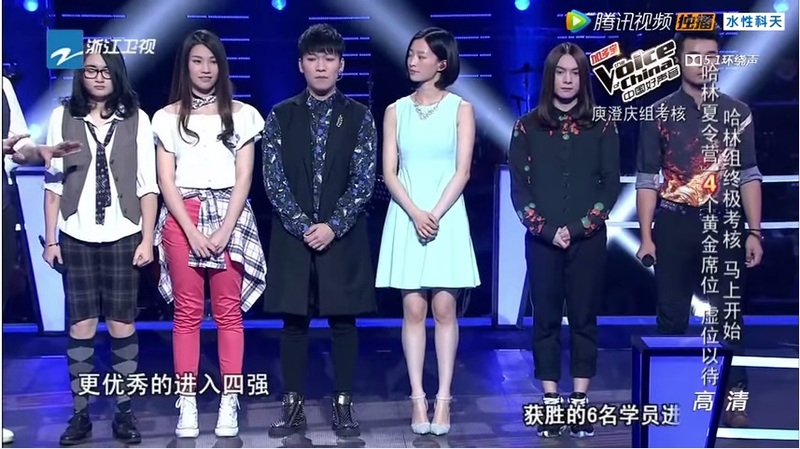 The judges feel that Zhang Shu would be a better choice for this competition. I think so too, not that Li Wen Hui isn’t good, but Zhang Shu can do normal songs as well as rock songs, and sound good. 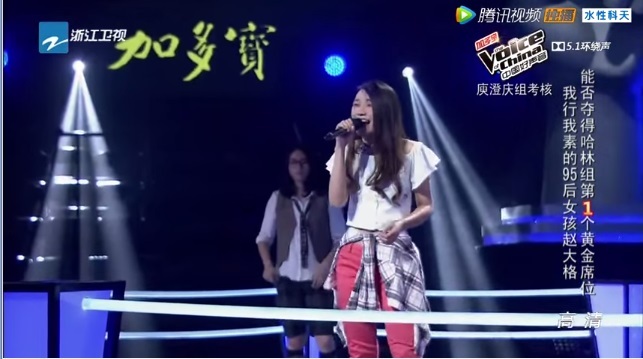 Comments: First time hearing Xin Rui singing. He sounds pretty musical but I am not especially fond of his voice. 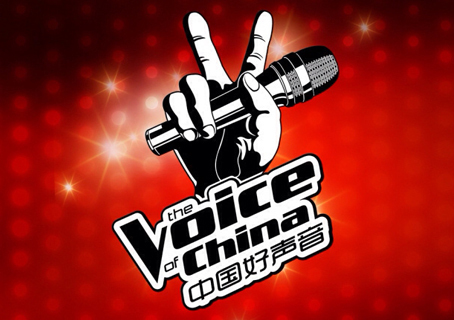 Zhao Da Ge got this special quality to her voice which I really like. I think her voice is more mature than her first performance in the blind audition. I think Harlem’s team members all has this special quality in their voice that I love! Duan Xin Rui is a very good performer though, I feel like I’m watching a musical when I’m watching him and he’s exuding positive vibes and happiness in every moment of his performance. Winner: Zhao Da Ge. 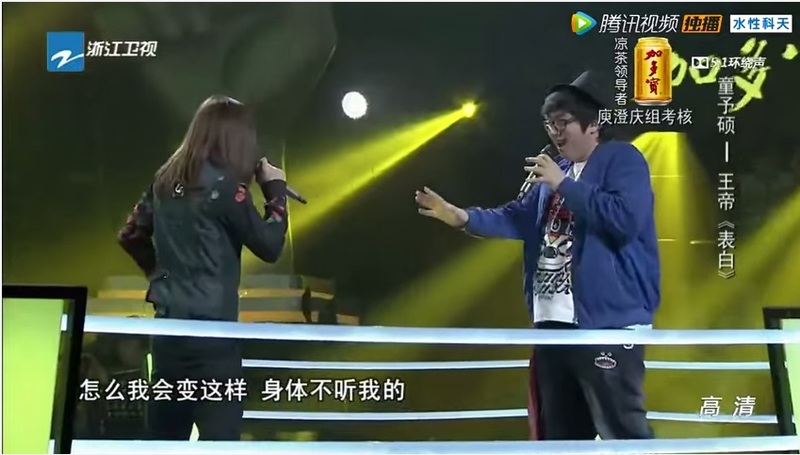 Duan Xin Rui got consolation price though, for being ‘the best dancer in Voice of China’s history’. 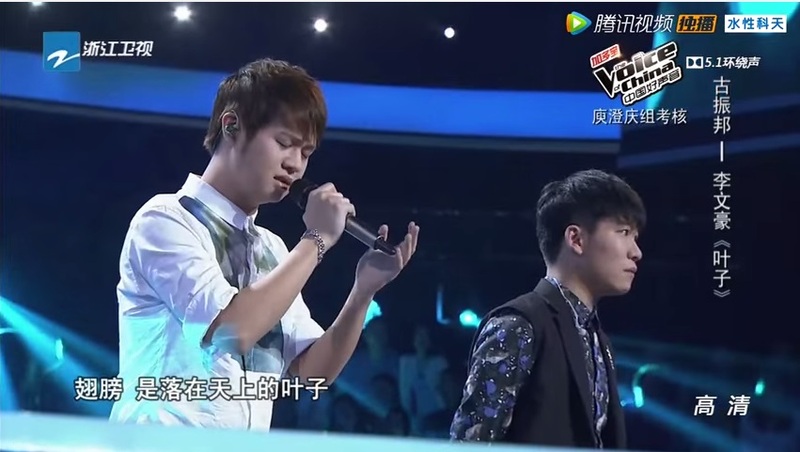 Comments: Zhen Bang has a very soft, gentle yet rough voice. 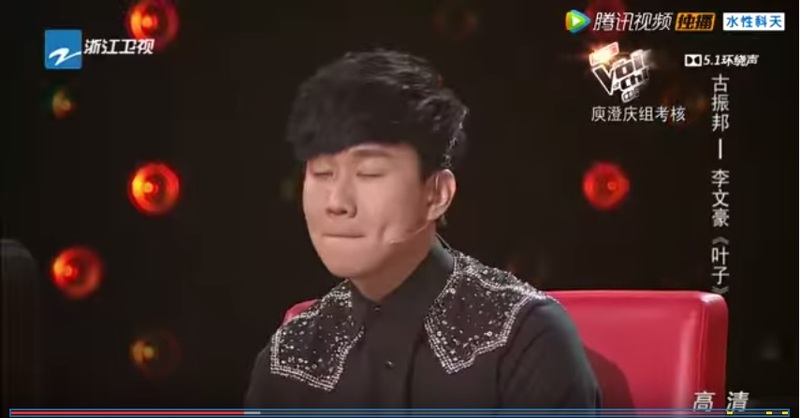 Wen Hao doesn’t sound as good as he did in his blind audition, but his voice brings out this feeling of curiosity. Like, he has so much to wonder about the world. Wang Feng said that not being able to turn for Zhen Bang because his team is full is one of his biggest regrets. I still have a soft spot for Wen Hao and his cute story about his hip grandmother. Li Wen Hao’s dad also got a chance to speak and Wen Hao cutely stopped him because he was afraid that his dad’s words, while sincere, might offend the other mentors. Extremely funny and cute. Winner: Li Wen Hao. JJ Lin also made a promise that he will back Zhen Bang up if he needs. Such a disappointment though, Wen Hao is crying. I liked him for his carefree attitude but I guess this moment is an overwhelming one for him. Go, boy! Comments: One high voice, and the other low. 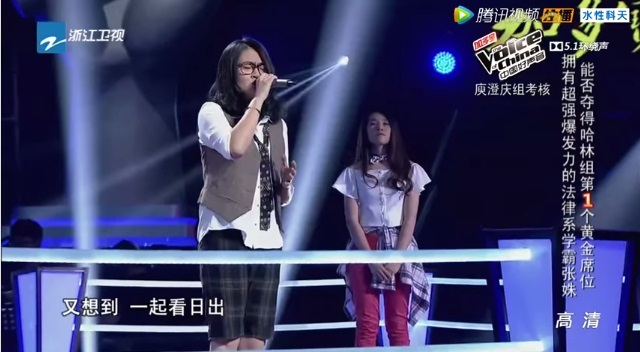 I remember I only managed to say that Si Ai is pretty and had no comments on her singing during her blind audition. On hindsight, it might be a bit mean because she does sound pretty decent. She might have improved. Jay might also have improved in his use of idioms, as pointed out by Na Ying. Haha! Si Ai also shared that today is Yin Yin’s birthday! The friendship between these two is lovely, Si Ai seems to really treat Yin Yin as her sister. Winner: Ma Yin Yin. Happy Birthday. 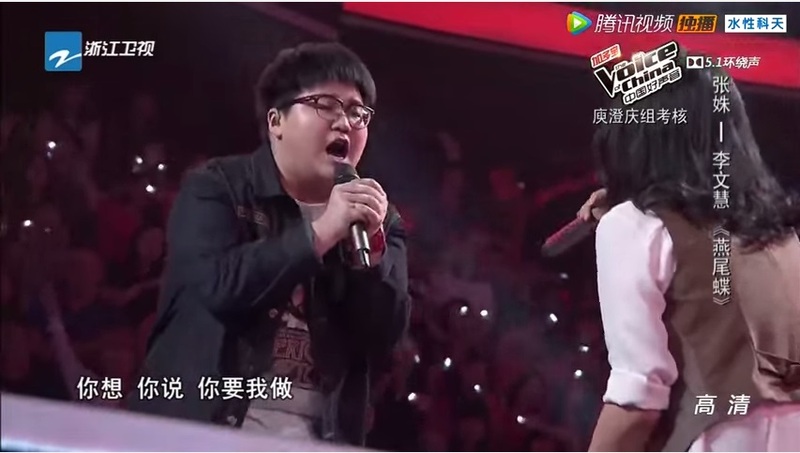 Comments: I have been waiting for Wang Di’s performance, he’s a quirky one! 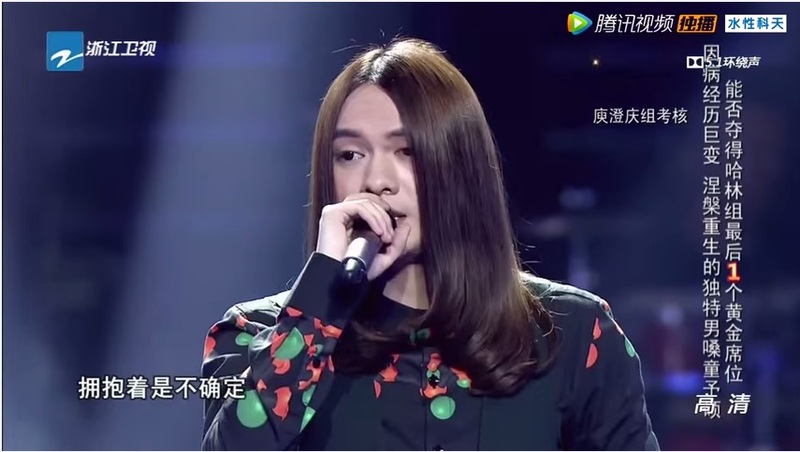 He’s cute but I think Yu Shuo did better, his voice is more outstanding and attracts more attention. 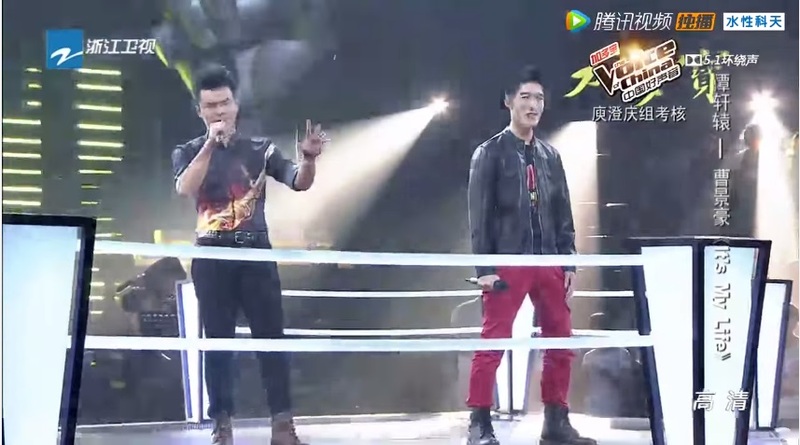 Wang Di would make a great performer, but his voice is sadly not up to par. 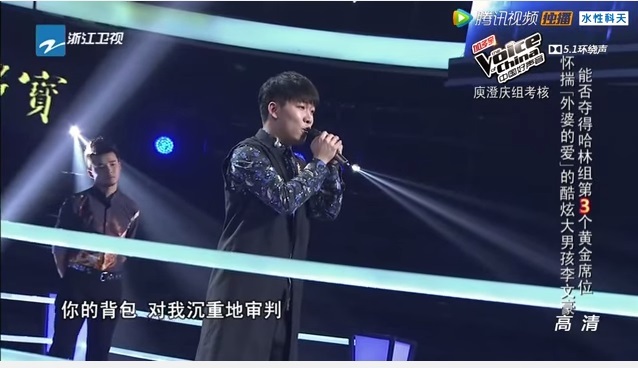 Na Ying claims that JJ Lin and Harlem makes a very good team while Jay adds that Harlem did a good job with coming up with this new rendition of this song, which made Harlem really surprised and pleased because it’s hard to get a compliment from Jay. Haha! Winner: Tong Yu Shuo. Wang Di will still be my favourite happy boy though, he’s so cute and brings so much sunshine about! 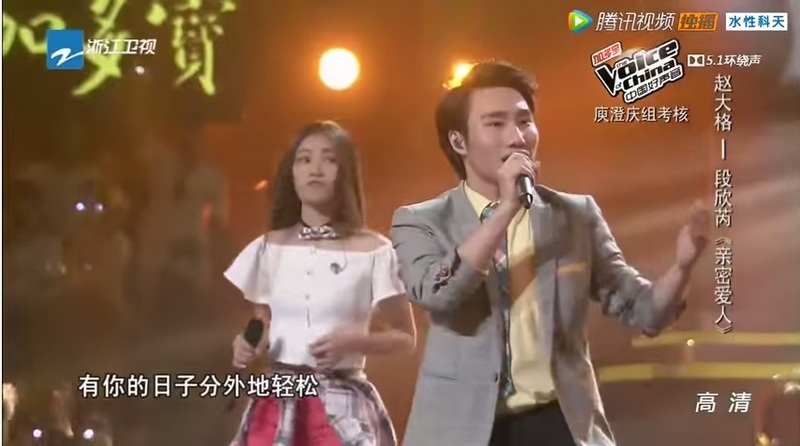 Yu Shuo also added that Wang Di’s dream is to see his students on the Voice of China stage and over the past few weeks, Wang Di had taught him a lot and can be considered his teacher. Hence, he will fulfil Wang Di’s dream. Comments: Is it me or does Cao Jinghao looks like Taiwan actor, Xiu Jie Kai? Haha. 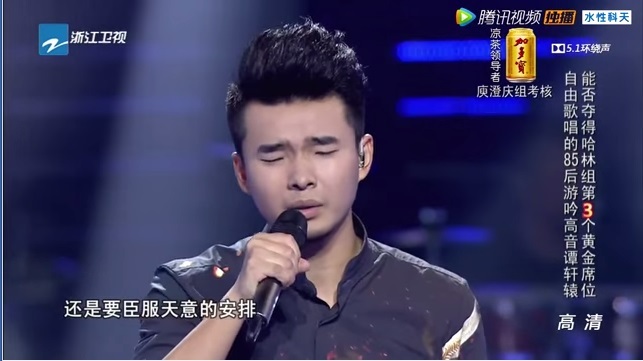 I really liked Xuan Yuan in his blind audition but I think Jinghao performed slightly better here. His voice is stronger and firmer. I think Xuan Yuan’s pronunciation also disadvantaged him. Gonna credit him for his crazy high voice though. Na Ying pointed out that Xuan Yuan is a very strong competitor but Jinghao did not waver, and showed greater improvements as compared. Next up, time for the duels to decide on the Top 4! Comments: The best thing about her is that she can sing a variety of songs well. Not much rock, but still good performance. Comments: Her voice is very clear. But really, time to go back to singing chinese songs. Winner: Both! None of the other judges advised him to pick both. I think he might have used this opportunity a bit too soon. Comments: Sounding good. His voice is just calming and lovely. Anyway, he looks like JJ Lin. A bit. Hahaha. Comments: Another super high song and he is acing it. He’s practically sing-screaming it at the chorus. Best, he’s not screechy at all. Winner: Tan Xuan Yuan. Welp, I like them both so I don’t know how happy I can be. But yay for Xuan Yuan. Comments: Such a pleasant non-mainstream voice. 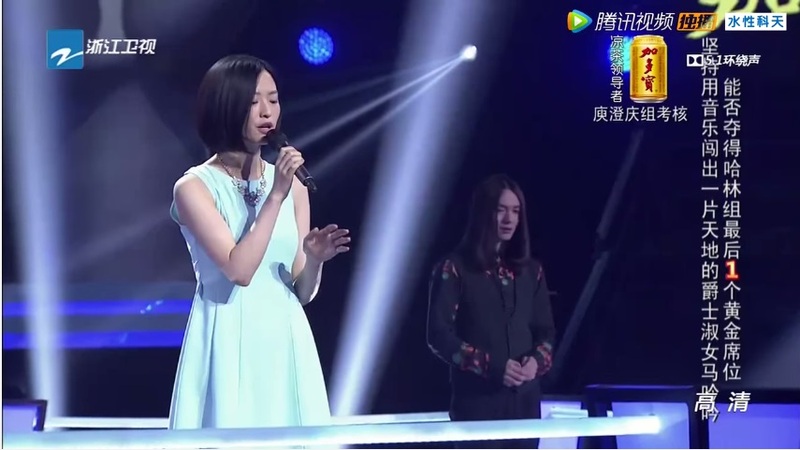 Wang Feng agrees and claims that Yin Yin’s voice makes one feel comfortable. Comments: His unique voice is good but this performance is a bit too scratchy for my liking. Winner: Ma Yin Yin. Harlem’s choice also factored in considerations of who he would want to release an album for. I guess Ma Yin Yin is the better choice then since she is more wholesome in this sense. Yu Shuo has an interesting backstory but will probably not be able appeal to the general public as much. It’s just sad that he won’t be able to fulfil Wang Di’s dream of seeing his ‘student’ on stage though. With this, the Top 4 for each team has been decided! 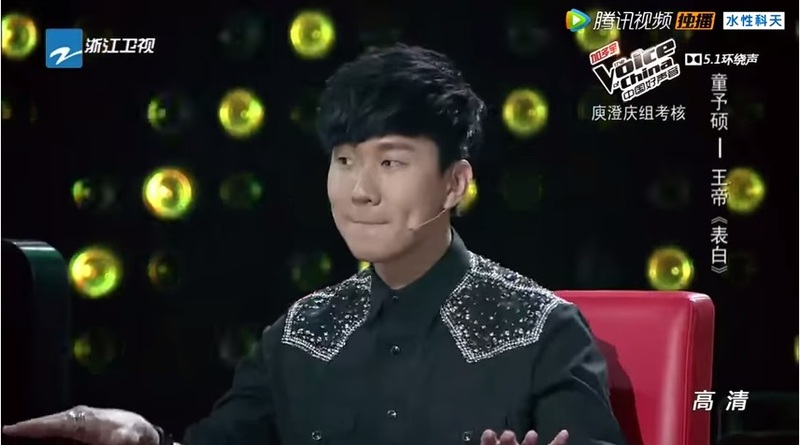 Another photo of JJ Lin because look at that cute dimple!! Next week onwards, the format will change again! Each mentor has been assigned their competitors for next 2 weeks by a random draw of coloured balls. Mentors who draw the same coloured balls will have their teams compete against each other. Jay’s team will go against Na Ying’s team next week while Wang Feng’s team will go against Harlem’s team the following week. Jay also cutely performed a ‘magic trick’ with the coloured ball he chose. Haha! This is probably the shortest full recap as I’m in a rush. I didn’t translate as much funny interactions as I would like. I have exams in the next two weeks so my recap for next week will only be up in the middle of the following week. Consider yourself warned. 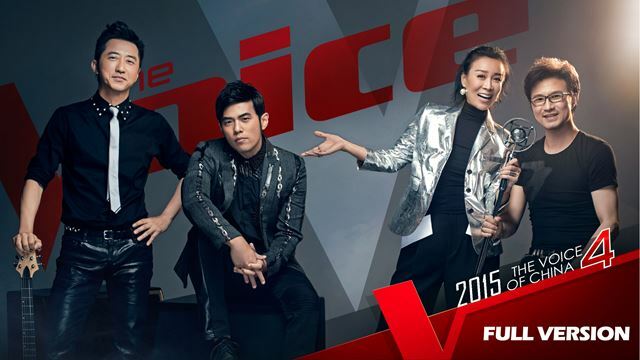 Meanwhile, watch Ep 9 of the Voice of China Season 4 here and drool over JJ’s dimples.